SHOULD YOU BUILD OR BUY SOFTWARE? 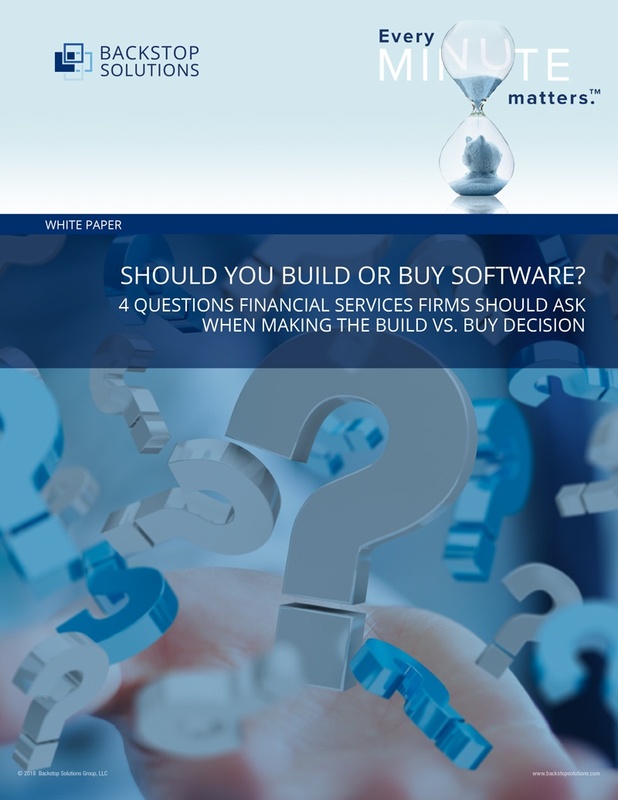 When making the classic build vs. buy decision on software, there are 4 questions every financial services firm should ask themselves to guide their decision-making. Find out what those questions are and what the answers to them may mean for your firm's build vs. buy approach.